Surprises are for birthdays, not real estate transactions. Selling a house is a complicated process, so we provide this compreshensive guide “Steps to Selling a House” so that you can be educated and in control and reduce any stress or headaches along the way. When it comes time to sell an asset that’s as valuable as your home, unexpected glitches can quickly add up, costing you thousands of dollars as well as valuable time. Understanding the process is the first step in heading off those little equity-sapping surprises. At first glance, the process of selling your home might seem simple enough. You empty it out, and list it –right? But of course, the reality is this process isn’t quite so straightforward. Your time is important, and if you want to get top dollar for your home it’s important to recognize that knowledge and experience matter. In this guide, we’ve broken the home-selling process down into small, manageable steps. We’ll start with a look at preparing to sell, move through the marketing phase, and then look at contracts, contingencies, and closings. You can’t anticipate every scenario. Even experienced Realtors are continually learning. Our goal in this guide is to give you a solid framework in order to understand the basics of the process. This foundation will help you to make informed decisions and successfully navigate the home-selling process –allowing you to sidestep any curve balls that are thrown your way and get the best possible price for your home. “Selling my home, how hard can it be?” you might find yourself asking. The truth, though, is that there are many different factors that go into the process of selling a home. From marketing and staging to networking and negotiating, to preparing contracts. No one could possibly be an expert in all of the associated phases. This is why the real estate industry has so many specialists, from marketing experts through title agents, there are experts at every turn. You are going to need some specialists to help get your home sold and more importantly closed. You can find these people online or through referrals, but of course, we think choosing a Realtor with a team of specialists already in place makes the most sense for most sellers. Of course, we also understand some homeowners might prefer to go it alone, which is why we’ve covered both options in this guide. If you decide to work with a Realtor to sell your home this is called a listing. It gets this name because your home will be listed in the MLS or multiple listing service. This is valuable because it immediately exposes your home to thousands of Realtors with potential buyers, giving your home a lot more exposure. To start, you’ll need to assemble documents and materials that answer the kind of questions potential buyers will have. Your Realtor will need things like plat maps and utility bills as well as loan and HOA information. Here’s a complete list of what you’ll need. It’s important to understand that when working with an agent, both of you will also need to agree on some form of agency. The agency refers to the relationship your Realtor has to your interests. For example, if you choose to work with a Realtor in a seller agency capacity, the Realtor must hold your best interests at the forefront for the entire transaction. The agent will also negotiate on your behalf and act as an advocate for you. An alternative to seller agency is transaction brokerage. In this form of representation, the agent acts more like a referee than an advocate, and works to facilitate the transaction rather than as an agent for either of the parties. If you instead decide to go the For Sale by Owner (FSBO) route, it’s a still a good idea to get help from the specialists. A little research can go a long way in finding the help you need. From pricing, staging, and marketing to contract negotiation and closing, you can certainly find people who can help. Many of the same specialists that do work for Realtors will do that same work for private homeowners on a pay-per-transaction basis. Stagers and photographers will help you at the beginning of the process to get your home ready to sell. These professionals will usually help private homeowners prepare their homes for sale as well as provide photos for marketing. You’ll also need to prepare your own marketing materials and the data that you’ll need to document your home and answer potential buyers’ questions. The resources available to FSBO marketers are more limited than what is available to Realtors, but there are some marketing channels out there that cater to homeowners. These include websites like Zillow and HomeFinder. A quick search on the internet will put you in touch with some of the resources available for homeowners looking to sell their home on their own. Next, prepare to field calls, schedule appointments, perform showings, and answer any questions a potential buyer might have. If you’re going the FSBO route, this step is especially difficult to outsource to a professional. Depending on the market, the desirability of your home, and the flexibility of your family’s schedule, showing your home could be a breeze, or a never-ending nightmare of tidying, cleaning, and taking-the-kids-and-dog-to-the-park-down-the-street! The value and experience of a Realtor become especially clear the moment you receive an offer on your home. While most people think it is all about the offer and the bottom line, the truth is the devil’s in the details. The bottom line is not determined by the purchase price alone, but by your net proceeds. An experienced Realtor will be able to look at the contract and make determinations about hidden dates, contingencies, and deadlines. All factors that can potentially impact the sale, and end up costing a seller tens of thousands of dollars. For FSBO sellers, a real estate attorney can certainly help to translate and clarify potential pitfalls in a contract to buy. Issues may also arise during the inspection and appraisal phase of the process that requires an attorney’s knowledge, experience, and advice. So, if your home’s condition or the FSBO contract is even moderately complicated, it would be wise to find a good real estate attorney. Title companies are another must-have resource for FSBO sellers. Generally, the title company will see the transaction through to closing and can be a great resource for keeping you on track. It’s important to understand, though, that the title company doesn’t necessarily advocate for either side, but rather will act as a disinterested third-party. Their only real objective is to get the transaction closed but they are good at clarifying how things work. This means that you are going to need to do some vetting of your potential buyer and determine for yourself whether they will be able to close. As the home seller, you’ll have to contact the lender, or in the case of a cash deal, seek verification of funds. The bottom line is that FSBO sellers cannot eliminate all of the real estate fees. Even straight-forward real estate transactions can be complicated, and the transaction cannot occur without hiring professionals to help you complete the transaction. Without a Realtor to help in managing the process; the time, cost, and stress involved in coordinating and managing all the pieces of the transaction will fall to you, the homeowner. Although the FSBO selling route may appeal to some home sellers who may be trying to save money, the true value of working with a Realtor is in maximizing the speed and net dollar of your sale and, most importantly, helping to reduce much of the stress that’s involved in the process. Timing is everything. Before you jump into preparing your home for sale, it’s a good idea to get some advice about the costs and benefits of repairs and improvements. We’ve seen countless examples of homeowners who have spent thousands of dollars preparing to put their homes on the market, only to find out later, that their improvements didn’t make much if any impact on the sale of their home. My advice is, “Don’t spend a dollar unless it will make you five” and a good Realtor can help you to identify tasks that matter. When it’s time to sell, the goal is to is to find the best-qualified buyers; buyers who understand the market, see the value of your home, and who are pre-approved for a loan and highly motivated to close. No matter what the state of the market, there is always competition for these types of home buyers. This is why at Springs Homes, we work with our home sellers to help them prepare their homes for sale before they hit the market. Decades of experience and hundreds of home sales under our belt have given us significant insight into what does and doesn’t appeal to home buyers. For one thing, it’s essential that the home makes a great first impression. By the time they view your home, a potential buyer will usually have been looking at homes for a while and they’ll know a good home when they see it. This means that if your home hits the market in show-ready condition and with the correct pricing, it should go under contract quickly. The term “Show-Ready Condition” simply means that your home is in the best possible condition to present to any prospective home buyers. Getting to this point may only require a little extra work, or it could call for a major undertaking, depending on your home’s current state. You need to realize that you are no longer a homeowner, you are now a home seller and it’s time to “Take the home out of your house,” so to speak. Ultimately, two factors will sell a home: price and condition. The market controls the price but you have a great deal of control over the condition of your home, and it’s in your interest to embrace this fact and put in the work that’s required to successfully sell your home. Start by educating yourself about your competition. You can have your Realtor take you around to look at other homes that are for sale in your area and price range. 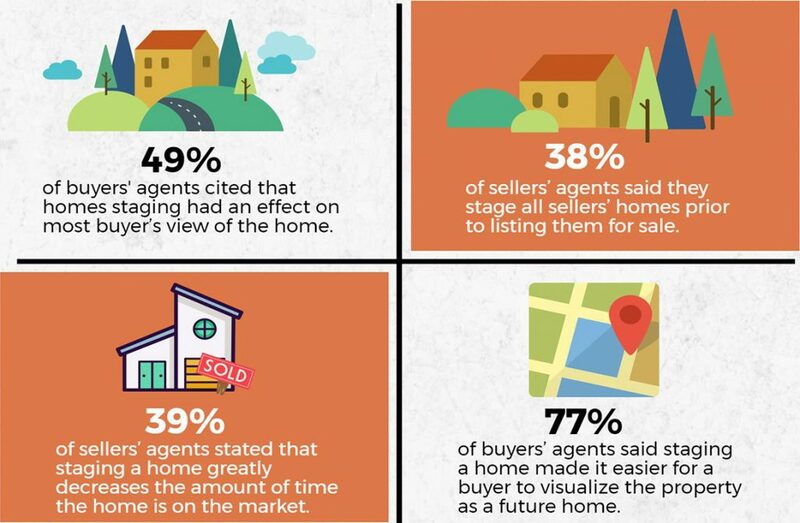 This will give you an idea about how these home sellers have staged their homes and in what your competition looks like. Act like a buyer and compare your home to the other homes on the market. How does it measure up? It’s also a really good idea to go look at some builder models. These models are professionally staged and many of the home buyers looking at your home will also be looking at these as well. Previewing builder models will give you a sense of what those buyers are seeing and more importantly, what their expectations will be. When a home is heavily personalized with keepsakes, pictures, and family memorabilia, it is difficult for a home buyer to feel like they could own the home. The home is such a reflection of you and your family that the buyer is not able to project their family and things into it. It’s also important to note that “clean” is a relative term for many people. 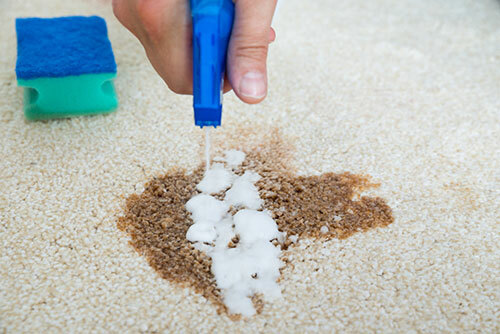 One of the most uncomfortable tasks a Realtor takes on is helping their home sellers understand just how clean a home needs to be in order to fetch top dollar. According to the National Association of REALTORS® 2017 Profile of Home Staging, the top recommendations from agents were decluttering the home (93%), entire home cleaning (89%), carpet cleaning (81%), and removing pets during showings (80%). All of these things will go a long way in making sure your home makes a great first impression. To help, here is a list that we use with our home sellers to help them get their home into show-ready condition. In some cases, simply decluttering and depersonalization aren’t enough. Other times, a vacant home just doesn’t create the right impression for the price the seller is asking. In other cases, the home may be dated or the owner’s furniture might show signs of wear and tear. In these situations, we might resort to home staging. Home staging consists of bringing in a professional home stager to help create a look and feel that is more conducive to selling a home. These specialists have the furniture, decor, and most importantly, knowledge to make a home look appealing to a home buyer. Cost is generally the first concern a home seller has about staging, but staging can run the gamut from a professional stager utilizing your existing furniture and accessories to completely furnishing a vacant property. According to the National Association of REALTORS® 2015 Profile of Home Staging, the median cost to stage a home is $675. The important number to look at when considering whether or not to stage your home is the returns. In other words, don’t spend any money on staging until you are comfortable that it will increase your bottom line. Staging your home is the ultimate in pre-sale preparation. Builders do this with their models and it works like a charm. Now, let’s look at the visuals required to best market your home. When it’s time to show the world your home, you want to do it in the best light possible. Home buyers demand photos and in today’s day and age, not having images is unacceptable. According to the National Association of REALTORS® 2017 Home Buyer and Seller Generational Trends Report, 89% of home buyers said photos were the most helpful feature during the online home search process. This report also states that 95% of home buyers used the internet for their home search. With numbers like these, the importance of great listing photos becomes clear. It’s important to make sure the photos you pay for are the correct resolution and size needed for the marketing medium that will be used. For example, photos that will be used in a print flyer have different requirements than photos used on websites like Zillow and Trulia. Great listing photos involve paying close attention to lighting; a key component of all good photography. Shadows should be kept to a minimum and ideally, you should be able to see out of the windows as well. This kind of photo requires great lighting, the kind brought in by a high-end professional photographer or an advanced processing technique called HDR photography. HDR stands for High Dynamic Range, this is a technique that most realistically represents what the human sees. Even the highest end digital cameras don’t have sensors that come close to collecting as much luminance information as the human eye. HDR compensates for this shortcoming. At Springs Homes, when we photograph a home we take 5-exposures of each scene. These exposures range from very dark and almost completely black all the way up to nearly all white. The middle exposure of the group is actually shot at the correct exposure. Next, we combine these images into a single photo using special software that interprets the data and produces a gorgeous image; the kind that stands out from others when a potential home buyer is looking online. When you’re selling something as valuable as a house, you need to make the best possible first impression. Since this will often be your only chance at making an impression on a prospective buyer, why would you ever settle for low-quality photos? Video is another popular medium used in real estate marketing. We mostly see this in higher-end luxury marketing but there are cases where it can be effective at any price point. We have produced video content for listings in all price ranges but have seen better engagement with videos that we produce for our higher-end listings. There are generally fewer homes available to view in the luxury market, so buyers tend to be more deliberate when browsing them. Homes that are in the lower price bracket are usually not on the market for long, and therefore aren’t generally able to benefit from video. We have had great success with videos produced from our Matterport walkthroughs. The authentic look and feel of these videos give home buyers a sense that what they are seeing is what they’ll be getting. This is especially important when you consider that the average home buyer only visits nine homes before making an offer. At the end of the day, all of these visual tools are nothing more than resources or tools, but since they are the tools we use to market your home we want them to be high-quality and effective. According to the 2017 NAR Home Buyer and Seller Report, 50% of home buyers found virtual tours very useful when shopping online for a home. This is a significant percentage and most Realtors either don’t use virtual tours or simply assemble a slideshow from existing listing photos and call it a virtual tour. A true virtual tour, though, gives the potential buyer a sense of room size, scale, and context. You just can’t do this with a slideshow. At Springs Homes, we use what we believe is the best virtual tour solution for residential real estate. Matterport is a sophisticated camera that is simple to use and produces amazing results. EXAMPLE: The camera produces three different models, the most unique is “dollhouse” –a 3D exterior model of the property. Other options include a flat floor plan and an interactive walk-through. Both the dollhouse and floor plan views move seamlessly into the interactive walk-through mode. This technology gives the prospective home buyer the ability to move from room to room without obstacles or lengthy load times. The most hectic time for real estate marketers is that small window of time between the home being ready and when the agent wants it on the market. It’s important that the home hits the market as close to being ready as possible. The first buyers to look at the home are generally the most serious. These are usually people that have been looking at houses and have either lost out on other home or haven’t quite found what they were looking for. Either way, these buyers generally have a good nose for value when they see it. So if your home is priced well, staged well, and the marketing is attractive, these buyers will be waiting at your door. It’s also important to realize that keeping your home in show-ready condition can be difficult; especially if you’re still living there during showings. Prolonged market times and lots of showings can be really de-motivating and stressful for home sellers. As such, we seek to eliminate this stress by working to obtain a great offer as soon as possible. The first thing we do during the marketing process is to put the property in our local MLS. This triggers a couple of processes, the first is called IDX or Broker Reciprocity. This process distributed your listing data to thousands of cooperating brokers websites. The second important process is called Listing Syndication, Syndication is the process of sharing your listing data across the internet with different real estate portals. Many of these are names you know well like Realtor and Zillow, but others are lesser-known yet still valuable platforms. Because the listing data from the MLS is aggregated, it’s vital that the information, images and any other supporting marketing material are input correctly from the beginning. The real estate portals refresh their content on different schedules which means that in some cases it can take days or weeks to replace incorrect information or bad photographs on a real estate portal. This equates to lost time and more importantly missed opportunities when it comes to selling your home. Social media is a phenomenon that can only be described as a game-changer for real estate marketing. When people are house shopping they tell their friends and of course, those friends want to help. This dynamic creates an entirely new network of people that can help you sell your home. With social posts in real estate, shareability is key. Browse through the comments section of any attractive real estate listing on a social media site and you are bound to see a share from someone who thinks a listed home would be great for one of their friends. Any effective real estate marketing campaign must have social media as a major pillar. There’s just too much traffic and activity to ignore this medium. 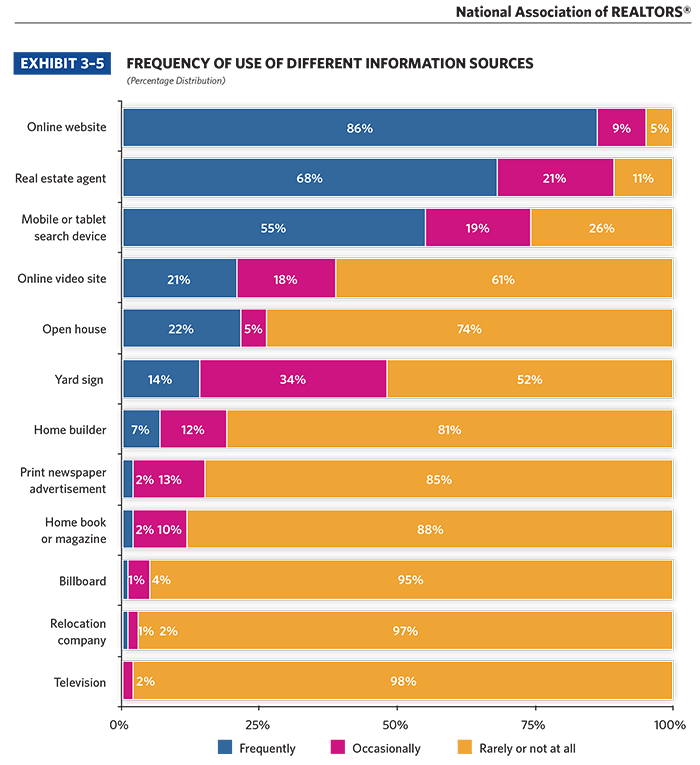 Many of the luxury home marketers, though, disagree with the concept of marketing on social media, stating that their high-net-worth clients value their privacy. But while we can appreciate the idea that most people don’t want looky-loos eyeing-up their belongings, this doesn’t mean that Realtors must forgo the idea of social media altogether. The truth is that there are techniques that effective real estate marketers can use to leverage the power of social media without compromising their clients’ security. In their 2017 report The New Affluent, Sotheby’s International Real Estate examines the habits and preferences of their established and new affluent luxury clients. 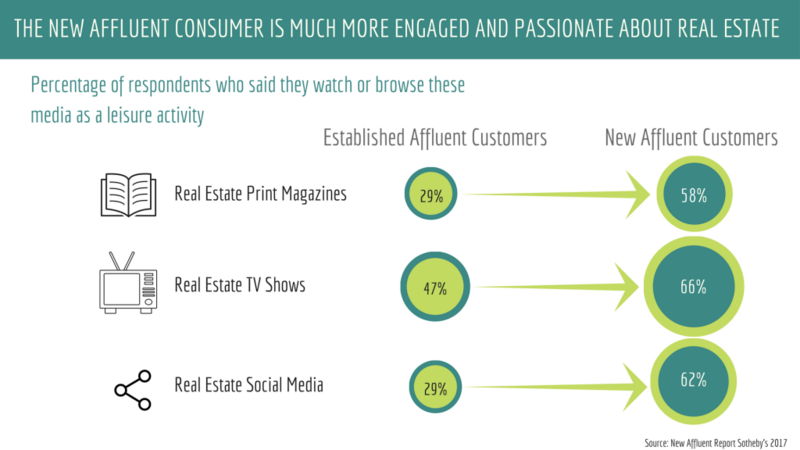 The finding clearly show the emergence of social media as an important resource for newer affluent home buyers. It’s important to consider both the pros and cons when debating whether to put your home on social media, and to identify a strategy that will work well for you. At the same time, you should also ensure that you don’t share any potentially compromising data –like an address, for example, if the home is empty. Real estate was bought and sold successfully before the internet, so traditional marketing methods shouldn’t be completely overlooked when selling your home. Traditional marketing includes things like print ads, open houses, and of course, word-of-mouth. Let’s look at each in turn now. Print advertising can be a good choice, for the right property. A good candidate for print is usually a luxury property. The time it takes to put ads together, send proofs back and forth, then print and distribute publications is simply too long to be of value in the greater part of the real estate market. Homes that are priced below, at, or even slightly above the median of a market generally don’t stay on the market long enough to benefit from print advertising. Luxury home marketing, on the other hand, can often find great success with print. You’ve probably seen the heavy-duty, high-quality, luxury home publications before; publications like the duPont Registry and the Robb Report. People do actually look through these magazines and find real estate in there. Additionally, purchasing print advertising in many of these high-end real estate publications as well as newspapers like the Wall Street Journal also gives your home the opportunity to be featured on the publication’s website as well. At Springs Homes, often when we get a call from a luxury buyer who’s seen an ad in one of these publications, they’re calling a number that they found on our website but the print ad is what generated the lead in the first place. Like print advertising, open houses can work for a particular property type. For example, If the home Is coming on the market after a long renovation period, an open house can be a real success. Generally speaking, when there’s time to build up curiosity about the final product you can really drive a lot of people into an open house. In most cases, though, an open house becomes an attempt to drum up interest because the seller demands it in cases where there hasn’t been enough activity or showings. This is usually a result of incorrect pricing, poor staging, or poor or no marketing efforts. Additionally, there are homes that fall into price ranges that just don’t get a lot of activity. All of these are issues that an open house can’t fix. The final traditional marketing tool we want to discuss is the age-old art of networking with other Realtors. In the chart below you can see “real estate agent” is the number two information source used by home buyers. Some 68% of home buyers say they frequently used their Realtor as an information source when home shopping. Networking and spreading the word about new listings has always been an effective tool for real estate professionals, it’s just what good Realtors are wired to do. They see another Realtor they know and start talking, eventually, they get to, “Hey, I have a new listing it’s a good one and in neighborhood-Y.” The other Realtor says, “Hey, I may have a buyer, how much?” And a window of opportunity is opened. Other Realtors are more aggressive and may send email blasts and talk at marketing events about their new listings with other agents. These can also be great resources for an effective real estate marketer to attract interest to their listings. At Springs Homes, Realtor open houses are the one form of open house that we really like. This is essentially a party for Realtors, at your house. Good Realtors have extensive networks and when necessary they can use those networks to encourage activity on their listings. The Realtor open house usually takes the form of a luncheon or cocktail party that’s held at the listing itself. This gives the Realtors an opportunity to see the house and allows your listing agent to encourage the attendees to show the property to prospective buyer clients. Okay. Your home is in show-ready condition. The visuals have been compiled, and the marketing is in place and working. Leads are starting to trickle in and it’s time to start showings. At this stage of the game, it’s important to have a plan –and a checklist. This Preparation Checklist is a sample checklist we use for our clients. This way they’re not running around looking for things to do to get ready for the showing. You’ll also want to check out our Start Showing guide, for more information on getting your home ready for viewings. One question that often arises, is whether the seller should be home during the viewings. We feel very strongly that you need to leave the house and let the buyer’s agent do their job. If the buyer is interested in your home, no question is so important that it needs to be answered immediately. Questions can wait until after the showing. Asking means they are interested and answering them creates opportunities for you or your agent to touch base and gauge interest. The primary objective of the showings is to get the buyers to feel comfortable in your home so they can start imagining themselves living in the space. If you, the current owner are there, this becomes less likely. So by all means, leave the house for every showing, your home will sell faster. After every showing the buyer’s agent should be contacted to get feedback on how that showing went. This is a critically important part of the selling process because it gives us insight as to where your home stands in the marketplace. The buyers that are looking at your home are also going to be looking at the other homes in your neighborhood, area, and price range. Soliciting feedback from them after showings gives us invaluable insight as to how our listing compares to the competition. Buyers will tell their agent their true thoughts and agents will share those thoughts as well as their own thoughts with other agents. What we’re looking for in feedback is information on staging, condition, and price. Other valuable information that may come out of this are details about things like odors or in some cases, even bizarre factors that we didn’t know about. Once we had a listing in an area called Manitou Springs. Manitou is famous for its alternative culture. At one point it was supposed to have had the highest per capita number of witches and Wiccans. Because of this reputation and its natural mountain charm, Manitou Springs is a very popular area. Our Manitou Springs listing was priced right, staged impeccably, and in fantastic condition. This was one of those homes we were sure would sell at the first showing. A couple of weeks later, though, we still had nothing and the agents who were showing it weren’t returning the feedback calls. So the listing agent decided to get more aggressive about obtaining feedback from agents. They ended up going to the real estate office of the last person who had shown the property. They asked for feedback and soon discovered the surprising truth. After showings, one of the neighbors was meeting potential buyers on their way out of the property and telling them that there had been a pagan sacrifice in the backyard! Naturally, this claim, as well as the neighbor’s eccentric demeanor and intensity was enough to curb any potential buyer’s interest in the home. When we contacted the home seller with this feedback, they were able to take steps to address it. They installed a camera at the property and informed the neighbor that potential legal action would be taken if the harassment didn’t stop. We were also able to put a note in the showing instructions so that when an agent called to schedule a showing we could give them a heads up as to the neighbor’s mental state. This way, the agent was able to prepare the buyers and potentially intervene before the neighbor could have a chance to do her thing. The home was under contract a week after we received the feedback. Had the listing agent not been so aggressive about obtaining feedback, the home could have stayed on the market for months costing the home seller thousands of dollars. Feedback is essential because it gives us information on issues we might not even know we have. Learning about these issues allows us to make critical adjustments to either condition or price; helping to get the home sold faster. The moment the first offer comes in is an exciting event for most home sellers. After all, it means somebody likes your house enough to buy it! This excitement, though, often dissipates quickly after the seller hears the price and terms. Depending on the market, offers can range the gamut from embarrassing lowball to above-asking price. It’s important to temper any emotions you have at this point; since being emotional creates problems during a transaction. If you were working with a Realtor they will put together something called a net sheet. Most likely they’ll have several variations of this or an electronic version. A net sheet will show you how much money you will net at the end of the transaction based on different scenarios. An offer to buy real estate is not just about the price. There are other factors that contribute to the true value of an offer. One of these factors are the terms of the sale. Terms cover things like inspections, appraisals, occupancy, and other factors that can affect the bottom line of a real estate deal. One good example is the inspection. If the offer comes in “as is,” the buyer is saying they won’t be asking the seller to fix any items they might discover during their inspection. They still have the ability to cancel the contract based on the inspection clause if they find something terribly serious but that’s not generally their intent. If you know that your home requires a lot of repairs and the replacement of critical systems, an “as is” deal could ultimately save you thousands of dollars in repair and replacement costs. Compare this to an offer that may have a higher offer price, but could ask for a lot of repairs. Ultimately this deal could net you less. Occupancy is another term that can really affect a home seller’s bottom line. For example, the buyer might offer to let the seller stay in the house until a certain date in the future or until they find a new house. These occupancy terms vary widely from the stay-for-free option to the be-my-renter arrangement. Depending on the home seller’s situation, there could be a lot of value in this type of arrangement. Other favorable terms can involve financing, cash offers, and appraisal waivers. This is why it’s always best to look at the terms at the same time you look at the net sheet before launching your rejection or counteroffer. During the home inspection phase of the home buying process you’ll be determining the physical condition of the property and its systems as well as assessing any potential health or safety issues. Your Realtor will most likely recommend an inspector, but if this doesn’t happen you can ask friends for referrals. It’s important to find an inspector you trust, so you might spend a little time on the phone doing a short conversation about the process and what they will be looking for. You should also share your priorities and or concerns before you choose someone. Home inspectors are certified, not licensed. This means they voluntarily join an association and adhere to that organization’s standards. We can’t stress the importance enough of using an inspector that is certified. Prior to the inspection date you will want to familiarize yourself with the guidelines from the particular organization that certifies the inspector you ultimately choose. You can usually download a set of the organization’s standards from their website. In this article about home inspections, we include links to the appropriate inspection organization’s websites. In addition to the primary Home Inspection there are some additional inspections that are really valuable. For example, Colorado has high radon levels, so a radon test is very important. If you’re looking in an older neighborhood you’re going to want to do a sewer line scope. Also, for older homes you might want to do a lead based paint assessment. Here’s a list along with descriptions and prices of additional inspections you might want to do. Once you have the results back from the property inspection you’re going to want to study those carefully. When you have a good idea of the property’s condition as well as any health and safety issues and or problems with the major systems like electrical or HVAC. You’re going to want to meet with your Realtor and decide how and if you want to proceed. Sometimes the results of an inspection are so discouraging that a buyer chooses to simply walk away rather than close on the house and deal with the issues. If the buyer chooses to proceed they have two choices; first they can take the house as is and proceed to closing. This tends to happen more in a seller’s market; when the buyers are just happy to get a house. In a normal market, the buyer in conjunction with their Realtor will put together a list of what is called unsatisfactory conditions. The seller then has the right to fix these things, offer a dollar amount settlement or flat-out reject the proposal. Negotiating after the home inspection can be very stressful, this is why it’s important to understand the condition of the current market. This helps the buyer know how much if anything to ask for. It also helps to know the seller’s level of motivation but if they have a good agent that can be difficult to obtain. The best advice we can give is to pick a good Realtor, during the selection process you should discuss how they handle inspection negotiation. The answers should be clear, simple and easy to understand. In addition to the inspection, your lender is going to require an appraisal. The lender wants to know if the house is worth what they’re lending you to purchase it. In the unlikely event you don’t make your payments and they have to foreclose, the lender wants to know that they can resell this house and minimize any losses. You, the home buyer, will pay for the appraisal but the lender will order it. The appraiser unlike the inspector is licensed and adheres to a strict set of guidelines. Appraisers undergo continuing education in order to maintain their licensure as well. The appraisal happens without the buyer being involved. The lender orders it, the Realtor will schedule it and the appraiser goes in alone makes their assessment based on measurements, construction quality, number of rooms, floor plan and condition. All of this data gets put into a spreadsheet, the appraiser applies debits and credits based on condition and quality as they relate to the comparable sales in the area. Once complete, the results of the appraisal are sent to the lender and the buyer and their agent are notified as to the status, the property either appraised or didn’t appraise. Here is a thorough outline of how the appraisal process works. Once you have evaluated the offer price in conjunction with the terms of the offer, you have three choices: accept, counter-offer, or reject. First, you can accept the offer ‘as is’ with no changes. Generally, though, this seldom happens. A good Realtor will usually want to make some changes, and often those will involve tightening up some contingency dates for things like the inspection and appraisal. The buyer’s agent will want to push these out as far as possible to protect their buyer. The listing agent, on the other hand, will want to get the buyer on a timeline that’s as short as possible. If we can’t work through the contingencies and the buyer walks away, the listing agent will want to get the house back on the market as quickly as possible. Extended contingency dates can a real headache for the home seller. The second option is to counter the offer. Making a counteroffer involves taking the initial offer and proposing changes to selected aspects of the contract. Items that are generally countered are things like price, dates, possession, or occupancy. The third option is simply a flat-out rejection of the offer. This generally happens when the deal-seeking buyer comes in with an extremely low offer. The seller feels insulted and rather than attempting to work through to an acceptable resolution, they send the buyer a strong message by simply rejecting the offer. Sometimes this rejection serves as a wake-up call for the buyer, especially if the home is well-priced. Other times the buyer will simply move on, looking for the next victim. How you choose to handle an offer should be based on several factors. Things like the value of your home, the condition of the market –whether it’s a buyer’s or seller’s market, and the condition of your property will all factor into how you should respond an offer. Once the details are worked out and both sides come to an agreement, you will be under contract. At this point, we will start to move towards closing. We begin executing the terms of the contract, sometimes referred to as closing to the contract, and essentially, the contract becomes a roadmap or checklist that we use to get to the closing table. Any real estate contract will most likely have contingencies in place as well. Contingencies are essentially provisions within the contract that allow the buyer to perform due diligence for things like the inspection, title, and appraisal. Contingencies are a two-way street as they also require the buyer to meet certain deadlines; such as proving their financial viability and completing the transaction, helping to speed the transaction along. Inspection is the contingency that seems to cause the most stress and anxiety for home sellers. The seller is usually concerned about the home buyers nitpicking while the buyer is, of course, concerned that the seller is hiding some serious defect. This contingency often requires skilled Realtors on both sides to navigate resolution. The actual home inspection should be performed by a certified home inspector. Home inspectors are not required to be licensed in twenty-two states, including Colorado, but ideally, you’ll want to look for one who’s certified. There are two main organizations that certify home inspectors; ASHI and InterNACHI. While these aren’t the only organizations, they’re the largest. The inspector will work from an outline of the certifying entity’s standards of practice. Here is the American Society of Home Inspectors’ (ASHI) standards of practice. Familiarizing yourself with this document will give you a good idea of what the home inspector will be looking at during the inspection. This also helps clarify any subsequent inspection repairs requests the buyer might make. If the inspection yields any unsatisfactory conditions that the buyer decides they want addressed, they will make a formal request to address these issues. This request is titled “Notice of Unsatisfactory Conditions.” The request should clearly outline the condition as well as address the desired resolution. In these cases, there are essentially three options. The seller can agree to all conditions of the requests, reject the request, or propose an alternative resolution. If an alternative resolution is proposed, the buyer has the opportunity to either accept the resolution or walk away from the deal with earnest money intact. Inspection is the one contingency that most commonly causes deals to fall apart. Handling these negotiations is difficult because often the home sellers can easily feel like they’re being taken advantage of and will dig their heels in, thinking there’s another buyer right around the corner. On the other hand, home buyers can be fearful that they are getting into a money pit, and in some cases, may even want to take advantage of the home seller. Successfully navigating many of these scenarios often requires an experienced Realtor on each end of the deal. At the end of the day, there are some transactions that just aren’t going to work. The buyer and seller are too far apart in terms of what they want and no amount of reasoning will help. Unless you’re fortunate enough to get an all-cash buyer, you are going to have to deal with the appraisal. This is because the appraisal is a requirement of the buyer’s lender. The lender wants to know that the home they are lending on is actually worth what the buyer is willing to pay. The seller can reduce the purchase price to the appraised value. This one is unlikely as well, once the seller settles on a number, stepping back is rare. If neither one of the parties is willing to give, the transaction is dead and the buyer is released from the contract and they get their earnest money back. This scenario is exactly why pricing is so important, especially to good Realtors. Correctly pricing a home right from the beginning helps ensure this type of drama never occurs. The art of pricing a home is all about maximizing the seller’s net gain while being able to support and more importantly, defend that price with an appraiser if needed. So price your home right from the beginning and avoid losing a deal this late in the game. Do I need an appraisal to Sell My House? The remaining contingencies have to do with the title and financing. Title issues are generally things like incorrectly recorded liens, easements, or other issues. These items need to be cleaned up before closing so that the title company can present the buyer with a clear title as well as title insurance. This is important since title companies won’t insure a clouded title. These items will generally be taken care of by the title company. If it’s an extremely complicated title issue it may require the help of an attorney. Any issues regarding HOAs would come up during this phase of the contingencies as well. These issues generally require legwork by either you, your Realtor, or an attorney. How Are Title Costs Determined? The financing contingency is related to the appraisal contingency. As we’ve seen, the appraisal exists to ensure the lender is making a good investment. The remaining part of the financing contingency involves the lender processing the buyer’s file that contains the appraisal in order to confirm they are able to make the loan. At this point, the listing agent or home seller should stay in contact with the lender to monitor progress. Problems at this point generally result in delayed closings. This is bad news for home sellers because it can mean additional house payments and problems with subsequent closings on the seller’s new home. If the seller is purchasing their next home, they will most likely need funds from the closing of their current home in order to move forward. Any delay in the financing on the existing home can cause problems with subsequent closings. Like dominos, each closing depends on the previous closing, so problems with one can stop the entire sequence. The last step before closing is the final walk through. This occurs just prior to closing and consists of the home buyer and their agent examining the home one last time. The idea here is to make sure all the inspection items have been completed and all the expected attachments are in the house. Problems at this stage occur when the buyer is surprised. These issues can hold up a closing and in some cases kill a deal in what is clearly the eleventh hour. In most cases, these problems come down to a misunderstanding as to what was to be included and more importantly excluded in the sale. This is why it’s a good idea to clearly document inclusions and exclusions at the beginning of the home sale process. You don’t want to end up negotiating these things on the day of closing. At Springs Homes, we put inclusions and exclusions in the MLS so that the buyer’s agent can answer any questions the buyer might have as to what stays and what goes. Additionally, this information goes into the seller’s property disclosure. 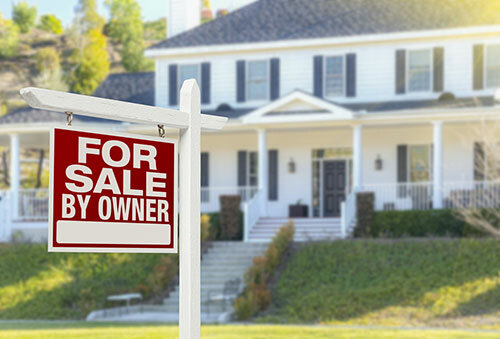 If you’re selling FSBO, it’s a good idea to create a list of what stays and what goes and make sure everyone who looks at your property gets a copy of this. Another important consideration is the disposal of unwanted items. If there are items that you don’t know what to do with or hazardous materials, your agent can help you to dispose of these things in the proper manner. Never leave them at the house. If you have paint that can be used for patches or as a reference or any extra floor coverings, those can be left. It’s also a good idea to hire professional cleaners to come in after you move. The packing and moving process always takes longer than you expect and even home sellers with the of best intentions often throw up their hands and walk away, neglecting to get the home in pristine condition for the new buyers. It is our experience, though, that if the home is not in great condition the day of the walkthrough, the buyers tend to be on the defensive during the walk-through and can be less forgiving on items they feel should have been addressed prior to closing. So, the smart thing to do is leave the home spotless. Successfully getting to the closing table is the result of a lot of small things getting done the right way, from staging, pricing, and repairs to fixing problems with the title to the property. If you have followed this guide from the beginning, congratulations, you’re almost there! A few weeks prior to your closing date you are going to want to start preparing for the move. This means taking care of things like changing your address, disconnecting utilities, and canceling your homeowner’s insurance policy. Here is a good list to use as you head into the home stretch: Preparing for Your Closing Checklist. As we get closer to the day of closing you will need to do a little homework. First of all, you should have signed paperwork with the title company allowing them to get your loan payoff information from your lender. This should have been done when your file was started at the title company. Next, you’re going to want to compile originals of any receipts you have regarding inspection items. When the inspection objection was written, it most likely asked for items to be done by professional licensed contractors. Receipts act as your proof that the work was done in accordance with the contract. As you head to the closing table, you will also need a valid photo ID. A driver’s license and passport are the preferred forms of identification for the closing. You will also want to bring any keys and or garage door openers you have. Yes, it’s a symbolic gesture but it is important to the buyers that they receive these items at closing. The closer will run the actual closing. Their job is to make sure all the documents get signed the right way and that all parties have a thorough understanding of what they are signing. The closing table is not the right place to read every document, so the closer will explain what each section means before you sign it. If you are what we call a “reader,” it’s a good idea to request copies of the documents you’ll be asked to sign ahead of time. Of course, you have every right to read before you sign it just gets a little uncomfortable for everybody involved if one person holds up the entire closing because they need to read every word. By now you should have a pretty good idea on the basics of the home-selling process. As you can see, there are a lot of different steps to take and potential scenarios to navigate; and success with of these is pivotal to a good end result. Having the right Realtor on your side, or being able to successfully assemble the right team of professionals on your own will be your key to closing the best deal; one that will impact not just your gross profit, but ultimately your bottom line. If you’d like to learn more about selling your home, don’t forget to check out the links in the “additional resources” sections. 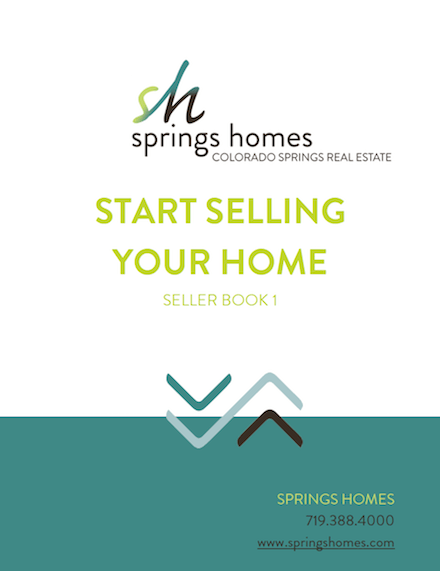 And of course, if you’d like to enlist the help of a professional Realtor in Colorado Springs, don’t hesitate to reach out to Springs Homes today!